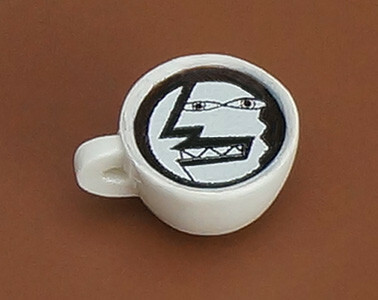 "Sisters...? I'll have to call you 'big sister' then..."
"From the anime series ""Is the Order a Rabbit?"" 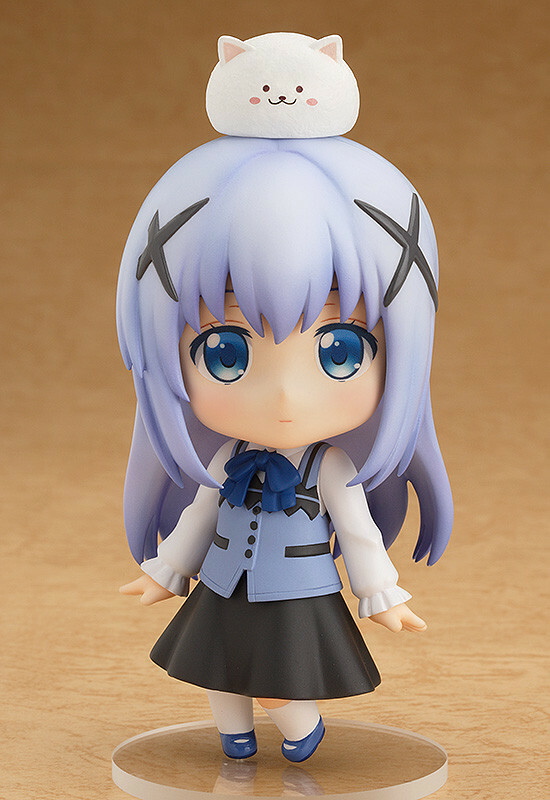 comes a rerelease of the Rabbit House café's only daughter, Nendoroid Chino! 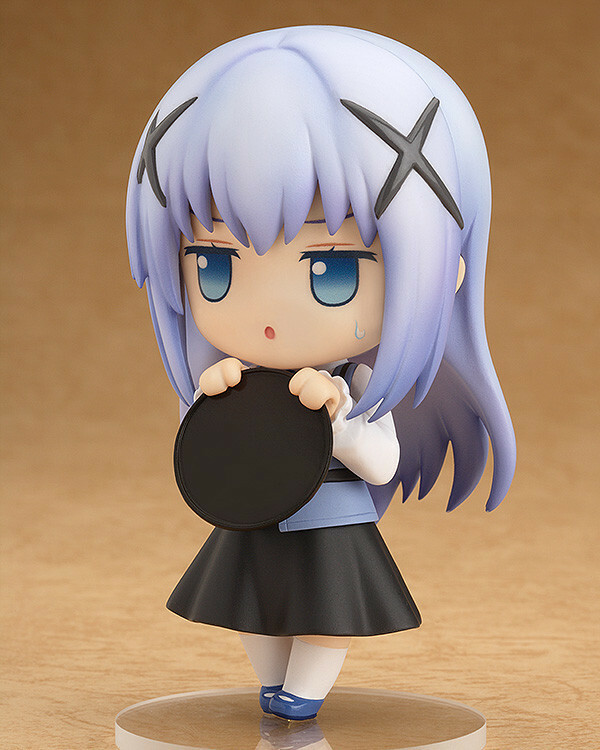 She comes with three face plates including a listless standard expression, a doubtful expression with glaring eyes as well as an excited expression for when she sees something cute. 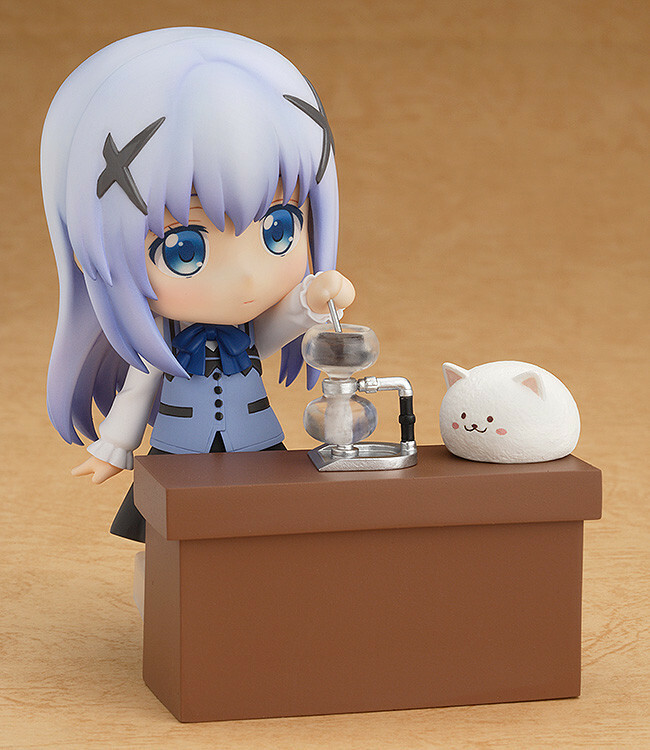 Optional parts include a coffee cup, vacuum coffee maker and a counter to recreate the atmosphere of the Rabbit House café! Her rabbit 'Tippy' is also included together with a special cup to sit in! 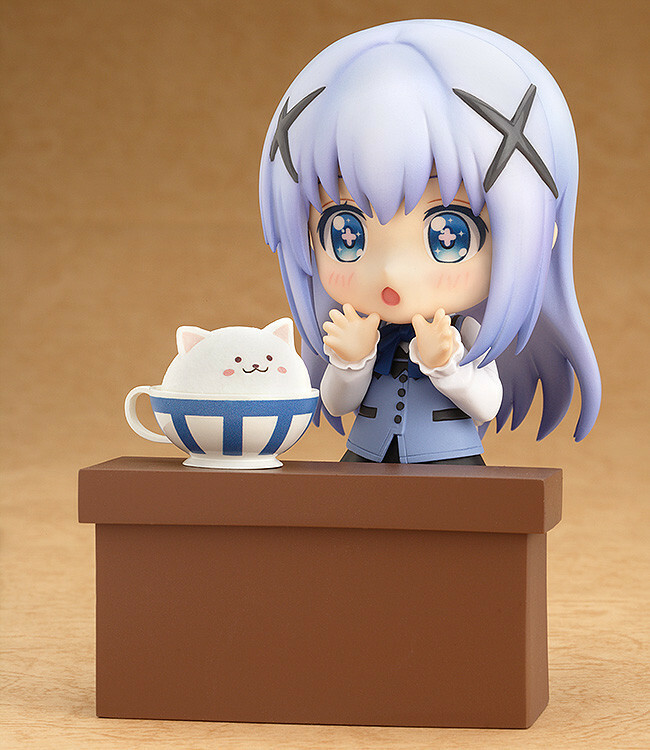 Nendoroid Cocoa has also been announced and will be up for preorder at the same time, so be sure to order her too!" Preorders will be open from 25th July 2017 (Tue) from 12:00JST until 24th August 2017 (Thu) at 12:00JST. 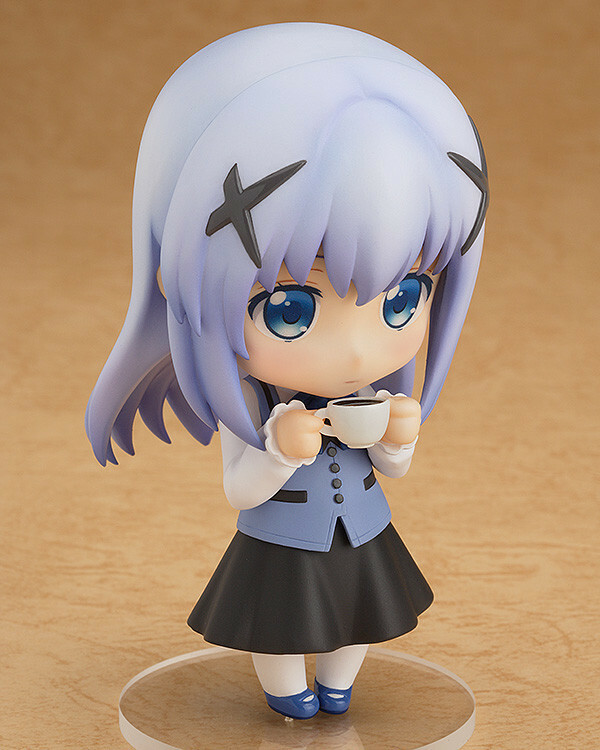 Purchases of Nendoroid Chino from the GOODSMILE ONLINE SHOP will include a Latte Art Coffee part as a bonus!